The 288-room DoubleTree by Hilton Little Rock features an outdoor swimming pool, complimentary wireless Internet access, Plaza Grille and Bar, meeting space, and business center. The hotel is connected to Arkansas’ Premier Performing Arts Venue, the Robinson Center, which is currently closed for a multi-million dollar renovation and scheduled to reopen in Fall 2016. The hotel is conveniently located near Bill and Hillary Clinton National Airport, Statehouse Convention Center, William Jefferson Clinton Presidential Library, Verizon Arena, Little Rock’s Government and State Offices, the shopping district, and much more. The hotel is in historic downtown Little Rock, located just off I-30 in the heart of Arkansas’ capital city. 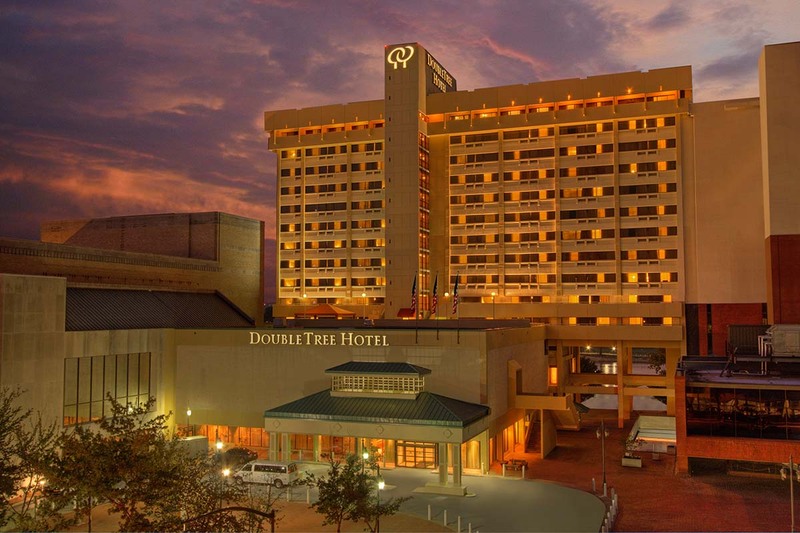 The DoubleTree Little Rock is professionally managed by Waterford Hotel Group.